It was a banner year for the Boston Red Sox in 2018. They won 108 regular season games, the AL East, and American League Crown and of course the Fall Classic over the Los Angeles Dodgers. Mookie Betts, Jackie Bradley Jr., and Ian Kinsler all took home Gold Gloves earlier this month, and just this Thursday Betts was named American League MVP. On the diamond they were dominant, but did you know that the Red Sox Foundation achieved a tremendous amount of success as well in 2018? To understand the scope of the Foundation’s reach, we sat down with Mick Blume who oversees the RBI (Reviving Baseball in Inner Cities) Program. What was the top initiative for the Red Sox Foundation in 2018? You know, I don’t think there was a single thing I could point to that stood above the rest. If I had to narrow it down, the main two things would be the Red Sox Scholars Program and our RBI Program. They are both cornerstone programs that we run in-house. With the addition of our new Executive Director, Bekah Salwasser, and our new Director of Programs, Brad Schoonmaker, this year, there has been a stronger focus on telling the Foundation’s story of who we are, what we do, and how we do it. We have the two cornerstone programs but we also have other great partnerships that we’re tremendously proud of with the Dimock Center, which is a health and social service center, the Jimmy Fund, the Red Sox Foundation and Massachusetts General Hospital Home Base Program which focuses on veterans and the invisible injuries of war. All of this is to say, we’re doing a lot here in 2018 and impacting the community in a multitude of ways. How do you work with Little League and Wally’s Team? We do what we call “capacity building,” that includes our Little League initiative and our Red Sox Service Scholarship initiative. 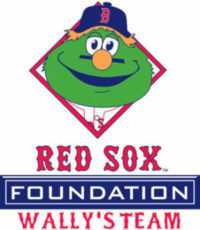 “Wally’s Team” is working with Little Leagues directly in Massachusetts and Rhode Island. It also touches other teams throughout New England at the tournament level. The program emphasizes the importance of teamwork and character-building, values long supported by Little League. We’re there to raise awareness and to help these Little League teams succeed however we can. David Price was this year’s Red Sox Player Captain associated with the RBI Program. What does that selection process look like? Our players’ relations team reaches out to the players as a jumping off point. The ones who demonstrate a desire to be a part of initiatives like the RBI Program or other opportunities to give back to the community are selected to lend a helping hand. Typically by the end Spring Training we know who our Red Sox Player Captain will be for that season. This year, David Price participated in our RBI Opening Day ceremony at the beginning of the season, hosted a meet and greet with a number of RBI players at Fenway prior to a game, and took photos with some RBI players at our Picnic in the Park event. We have player captains for our Scholars Program, RBI Program, the Jimmy Fund, and our Home Base Program. It’s a great way to align our players with our overall mission and we can’t thank David Price enough for being our captain this year. How do you utilize data to quantify success? It’s interesting that you ask that because this is something we’ve been focusing on internally. As MLB pushes their Play Ball initiative and the marketplace is flooded with data points related to youth sports, it’s really important to us to always be evaluating how we’re collecting and analyzing data to better serve our communities and ultimately these kids. We are currently evaluating how to best measure success against our key values in the program to ensure we are delivering these important traits that we strive to teach. Currently, for us, it boils down to a few key metrics. How many kids are we engaging – how many games we’re playing in a season – how many opportunities are we providing for kids to come visit Fenway Park. Having such an iconic venue is a huge asset. Beyond just the games, we can also bring in kids for events and workshops. 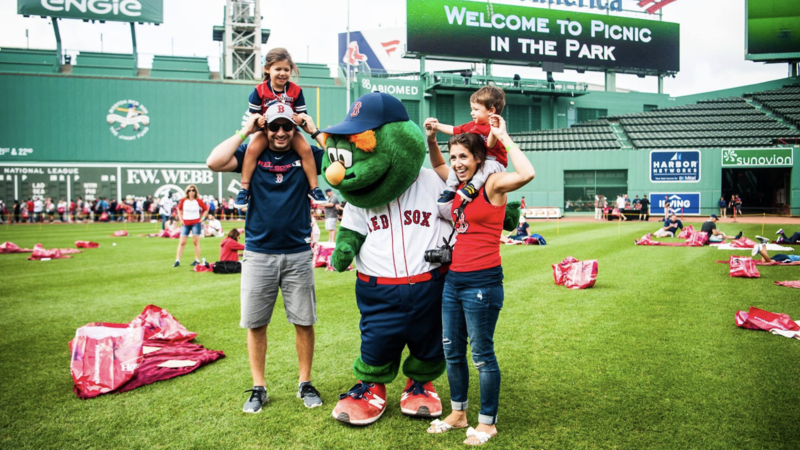 If we can engage with larger and larger numbers of kids, provide more opportunities to play games and get them to Fenway to engage with the game and our players, that’s all trending in a positive direction for us. Could you explain what drew you to this role working for the Red Sox Foundation? I luckily grew up as a big Red Sox fan. I was born on the “good” side of Connecticut. I grew up loving sports, particularly baseball and always have had the opportunities to play sports. But once I realized that playing at the next level wasn’t a possibility for me, I turned my attention to another avenue in the sports world. The sports management program at Drexel down in Philadelphia afforded me the opportunity to still work in baseball with an independent league baseball team and a non-profit through their co-op program. That served, as it turned out, as a stepping stone to the Red Sox Foundation for me. Being associated with the Red Sox Foundation was honestly a dream come true for me, after my internship I was given the opportunity to oversee the RBI Program. I have the resources today with the support of the Foundation and the Red Sox organization to provide so many kids with the same opportunities I was afforded growing up, which is a tremendous feeling. Kids can grow up loving the game, playing as much as they want to and I consider that to be a great thing. How much time do you spend facilitating relationships with individuals outside the Foundation, be it elected officials, sponsors, celebrities, etc? It’s so important to have a strong, robust relationship with the local government. We’re very fortunate that we have a strong relationship with Mayor Walsh and the Parks Department. They have the same interest in seeing kids be active in the community, living healthy lifestyles. We also have a great relationship with many of the community centers. There are 12 Centers for youth and families throughout Boston and others that are connected through schools. By working with them we both benefit tremendously and they’re afforded an opportunity to engage with young people in their communities. We can step in and help with programming when they say, “hey, we have all these kids and a few hours of free time what can we do for them?” Whether it’s through our RBI program or just setting up quick games in the summer, we’re able to deliver value to these communities because we’re aligned with community leaders and elected officials. How has LeagueApps helped the Red Sox Foundation grow and achieve success? Let’s just put it this way, when I started five years ago with RBI it was all spreadsheets. I don’t even remember the tools we were using but they weren’t cutting it. With LeagueApps, I can say it’s truly a life-saver and a time-saver. On top of it, by it being online and accessible 24/7 via a smartphone, tablet or computer the back-and-forth between players, coaches and organizers has been significantly reduced. A lot of our coaches are volunteers, so streamlining the communications element is a big deal for them. I’m not even fully aware of all the time-saving features until someone brings it up to me. So LeagueApps continues to demonstrate it’s value and range in new and exciting ways for us. We’ll continue to use it moving forward and I’m excited for the next positive experience that it generates for our coaches and players. How much of the Red Sox Foundation’s success, in your opinion, can be traced back to the buy-in from Red Sox Nation and the Boston community-at-large? Simply put, we would not be the largest team charity in all of sports if it weren’t for the Boston community. This community is 100 percent responsible for our success. Everyone in Red Sox Nation from the fans to the supporters to the donors are the driving force behind us. We simply wouldn’t be able to achieve this kind of success without our community at our backs. Our fans rallied behind our team this year as we took home the World Series title, and we also rallied behind our fans to make sure they received the proper credit for positively shaping the lives of young people.